Could Zero Point Electric Energy (ZPEE) save the world? 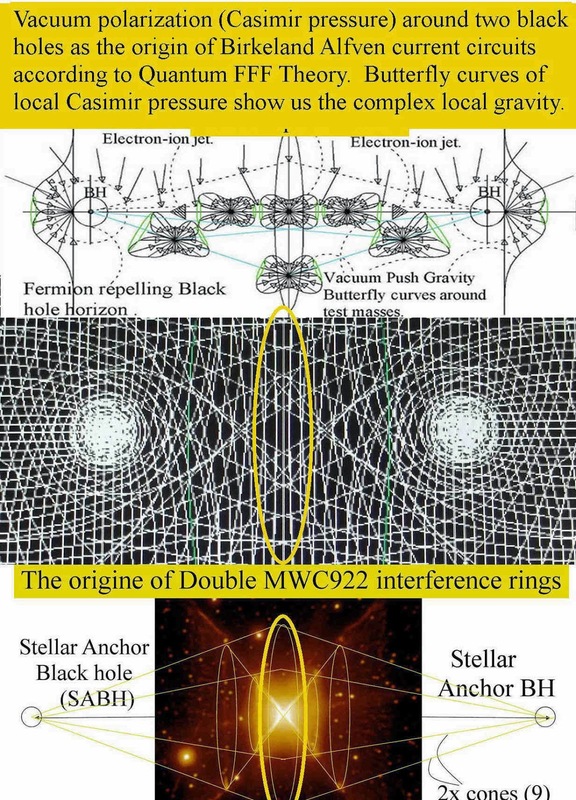 Unification of GR and QM by a New Gravity-Black Hole and Lightspeed Model Called Quantum- FFF Theory. Het Einde van het Zwarte Gat? 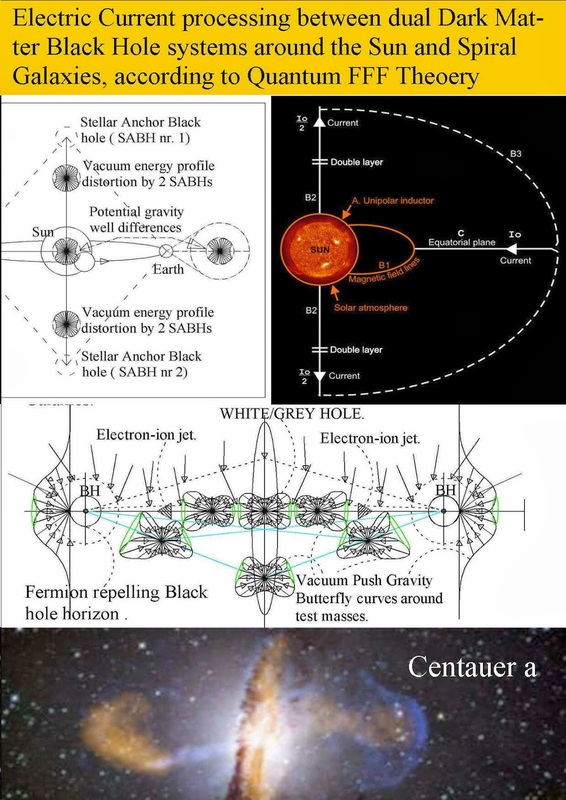 The Electric black hole seems to have three horizons!! Even Nasa made an image of them. Not only Stephen Hawking has his doubts about the black hole! Recently professor Matt Strassler wrote about black holes: Why has the controversy gone on so long? It is because the mathematics required to study these problems is simply too hard — no one has figured out how to simplify it enough to understand precisely what happens when black holes form, radiate particles, and evaporate. 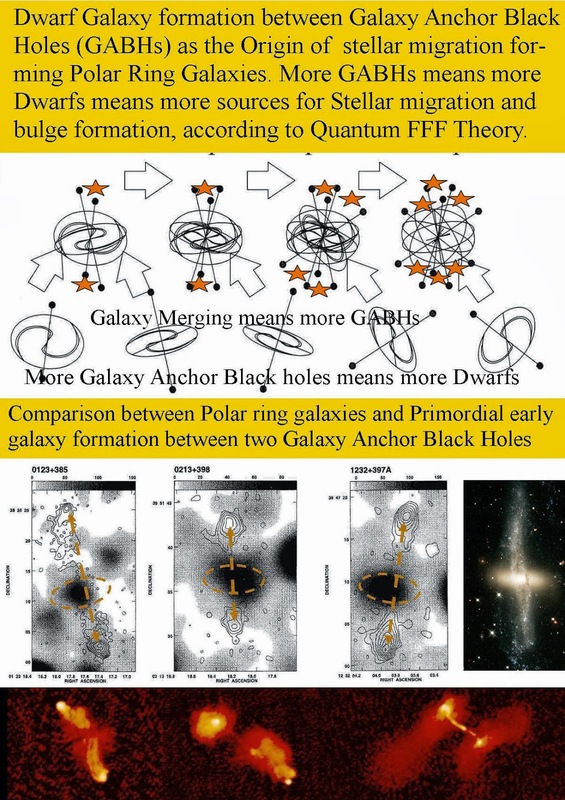 SO there is room for a semi deterministic alternative approach for new black hole physics. According to Quantum FFF Theory, the alternative Black Hole should have gravity reversal (not for photons) for Fermions ( by propeller spin flip of the Two-component spinor rotation of the fermion ) at one of the three Black Hole horizons. The second horizon is assumed to be the inner boundary of the fermion repelling zone. 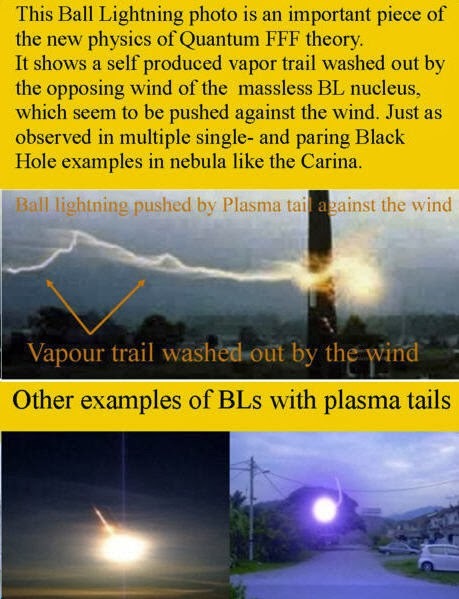 The third horizon create pair production out of vacuum particles, by the opposing oscillating Casimir-ZPE energy of the vacuum, to form Plasma with a positive charged globule inside and a negative charged globule outside the black hole. The Plasma quarks are assumed to be compound particles of photons with positrons or electrons as a base for respectively positive and negative charged quarks ( I will call this "QUARKONIZATION" just like HADRONIZATION) The chirality of the vacuum lattice is the origin of our material universe with preference for single electrons, and compound positive quarks: positrons/photons. The tripple black hole horizon according to Quantum FFF theory. Birkeland- Alfven current circuits in space and around the sun.